Recent gun related violence prompted a partnership to dissuade youth from going down a dark path. BUFFALO, N.Y. (WKBW) — Recent gun related violence prompted a partnership to dissuade youth from going down a dark path. After a 12-year-old was shot and killed by a stray bullet , and after two buffalo police officers were shot at, Erie County District Attorney John Flynn started a community forum to start a conversations about gun violence. "A life of crime leads to two places: death or prison," he said. 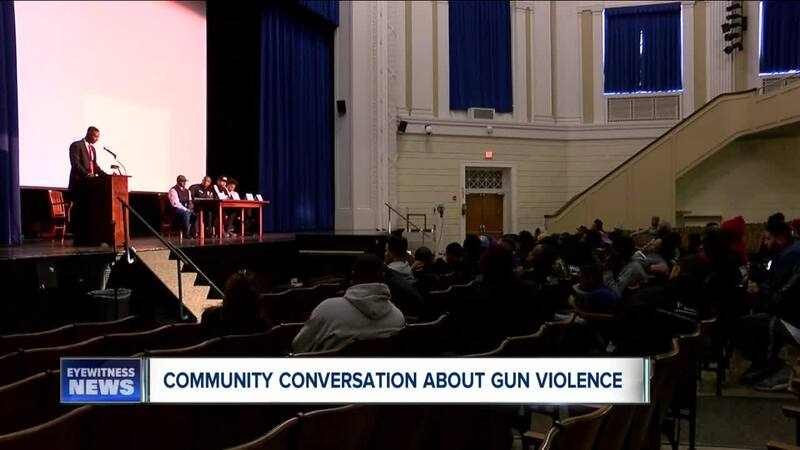 The District Attorney's Office is partnering with Buffalo Public Schools, the Buffalo Police Department and the "Say Yes Buffalo" program, to talk directly with students about the dangers of gun violence, gangs and drugs. To help get the conversation started, Flynn invited Buffalo native Eric Rawls. He got caught up in that lifestyle as a teenager, but eventually he got out. "I've lost about a dozen or so friends to the streets. So I mean you know, just trying to help one kid is enough for me," said Rawls. He said he hopes to steer kids in the right direction. "Experience is the best teacher. So when they hear it coming from someone who's been where they've been - I've been where they've been - it's just more believable. And they can definitely relate more," he said. And Flynn said he hopes that students understand that in a life of crime, nothing lasts forever. "Temporarily, you can make money. Temporarily, you can live a lifestyle that you see other rich people living, alright? But it's only temporary," he said.